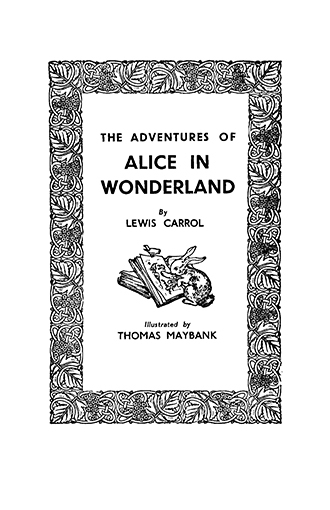 This edition of Alice’s Adventures in Wonderland, originally published in 1907, is fully illustrated in pen-and-ink, by the charming drawings of Thomas Maybank. 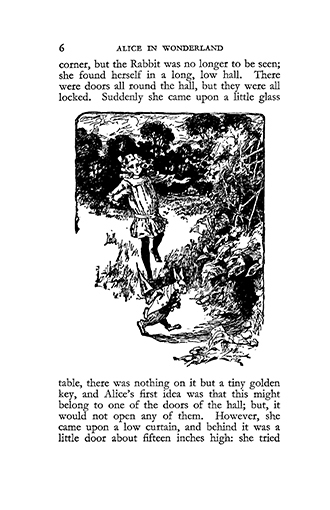 Hector Thomas Maybank Webb (1869 – 1929), was a prolific artist, who aside from his literary illustrations, also contributed to Punch Magazine, and the Daily Sketch. 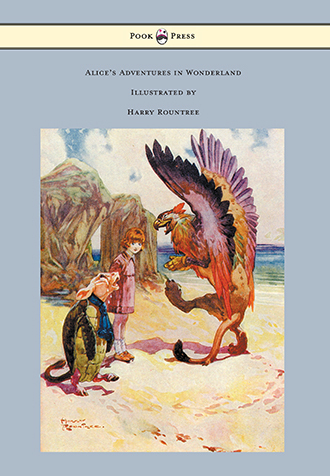 His drawings are full of character and movement – bringing this classic tale to life in a truly imaginative and exciting manner. 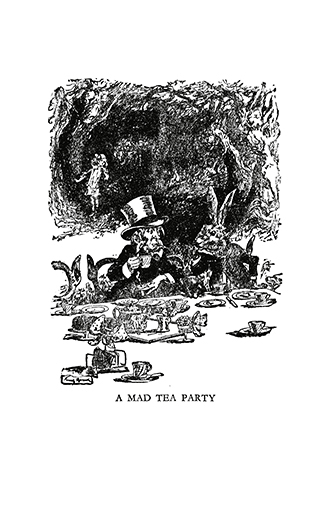 ‘Alice in Wonderland’ is the best known work of Charles Lutwidge Dodgson (1832 – 1898), better known by his pen name, ‘Lewis Carroll’. 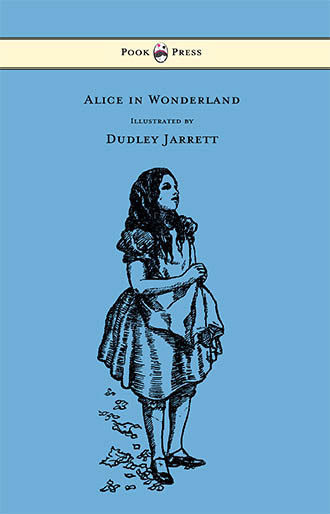 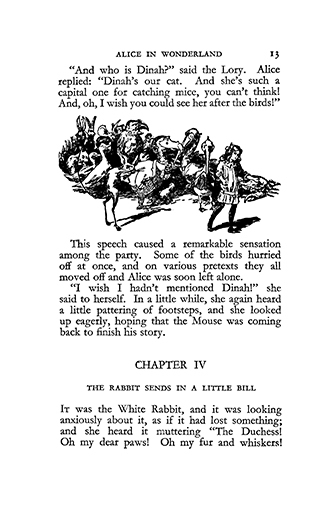 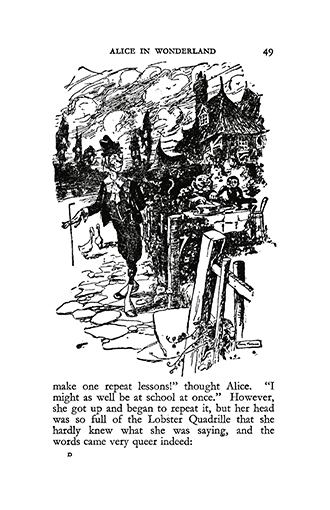 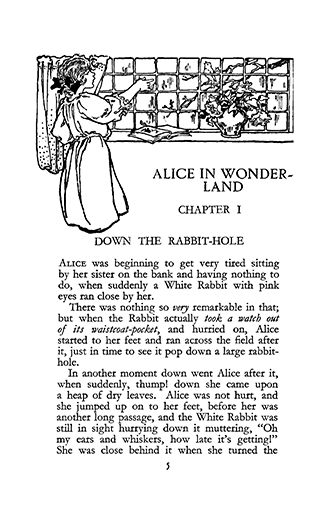 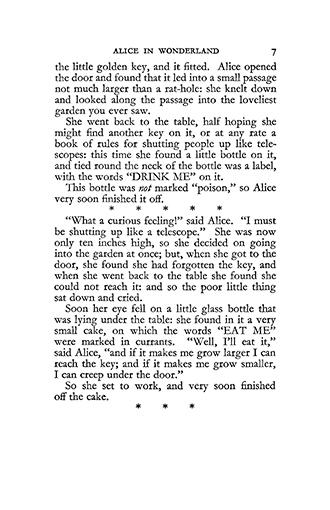 Telling the story of a girl named Alice who falls down a rabbit hole into a fantasy world populated by surreal and anthropomorphic creatures, the book was a huge commercial success on its initial publication in 1865. 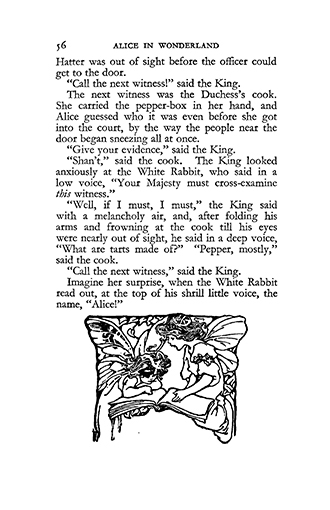 It was followed by its sequel, Through the Looking-Glass, and What Alice Found There, in 1871. 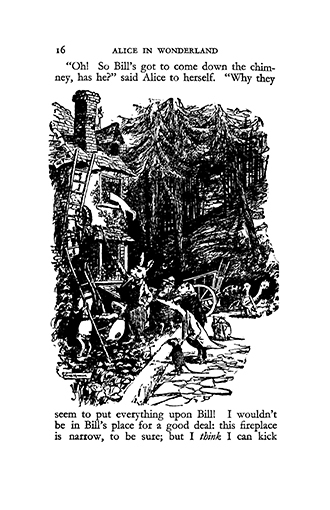 The books play at the heart of logical problems and literary nonsense – giving the narrative lasting popularity with adults and children alike. 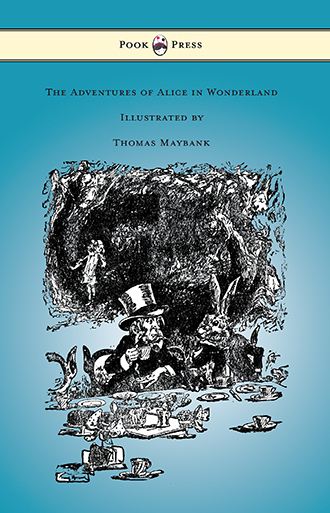 With works such as The Adventures of Alice in Wonderland – Illustrated by Thomas Maybank, Pook Press celebrates the great ‘Golden Age of Illustration‘ in children’s literature – a period of unparalleled excellence in book illustration from the 1880s to the 1930s.